The ASICS Men’s Lift Trainer Cross-Trainer shoe received inspiration from professional weight lifting shoes. The shoes were designed for the athlete who needs shoes that can offer him both the structure and support they need when lifting weights. To reinforce this, the heel of the shoe has been slightly raised while the forefoot height decreased to fulfill its purpose. This modification puts your body in the correct posture for lifting weight to allow for the explosiveness and power flow throughout the body. For a clear understanding, here is a review of the Men’s ASICS Lift Trainer. The Men’s ASICS Lift Trainer is a lightweight shoe something which is enhanced by the use of synthetic leather in the design. The leather is also good as it ensures that the shoes withstand the test of time considering the magnitude of the activities involved when training and lifting weight. The mesh upper is perfectly designed to provide for comfort and breathability. These two are vital when training because athletes need to feel comfortable during their training sessions and there feet need proper aeration. The mesh allows air to circulate inside the shoe to keep feet cool and dry hence being able to enhance performance. The Men’s ASICS Lift Trainer has a very wonderful support system in the DuoMax® support system. The shoe is equipped with a dual density system which is strategically positioned to provide for support and stability. Stability and support are very essential when it comes to weightlifting because without the two you cannot do much. The ASICS Men’s Lift Trainer Cross-Trainer shoe is a durable shoe thanks to the rubber outsole and the synthetic leather. In addition to this, the non-marking rubber outsole also enhances traction. With the kind of exercises needed when training and the sort of movements involved, training shoes need to have enough traction in order to have grip for support and stability. The rubber outsole allows the user to train both indoor and outdoor without having to worry about tearing. As highlighted above, support is very important when it comes to training shoes. To achieve exceptional medial and lateral support, the Men’s ASICS Lift Trainer boasts of having a mid-foot strap and midsole outriggers. With these features one can understand why this is one of the best lift trainers available in the market. The shoe has a thick and durable sole which is capable of withstanding any sorts of pressure. That means you can go for runs after runs and still be comfortable in these shoes. When you go out to purchase one, you are advised to try one out before opting to buy. If you are ordering, then you may want to order at least a half a size down. Customers concurred with the fact that the Men’s ASICS Lift Trainer is a great weightlifting sports shoe. Despite being stylish the shoe is also functional. The heels are well supported for squatting and deadlifting. The fabric is breathable something that is provided by the mesh upper. Customers also agreed that the shoe has excellent stability as the shoe can allow you to load the bar and squat as much as your legs can desire. Review the best 5 Asics Cross Trainers for Men. 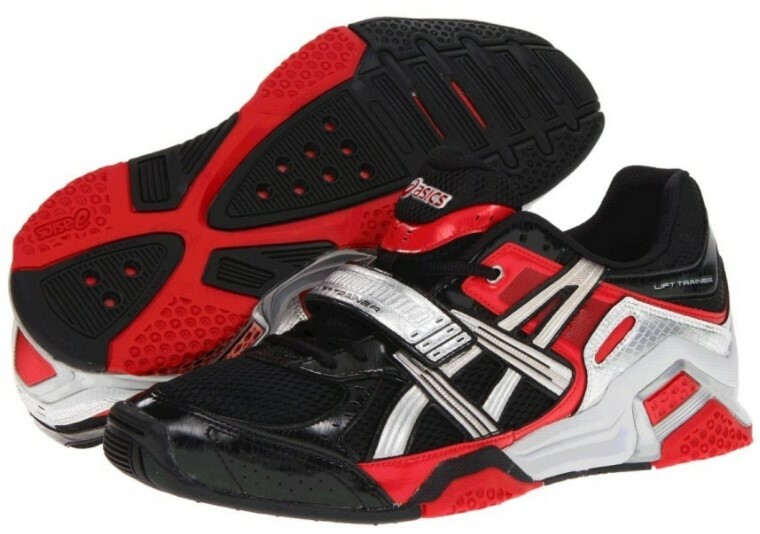 With the Men’s ASICS Lift Trainer, you get an all round shoe that is ideal for weightlifting. They provide sufficient stability during squats and are also flexible. The shoes are super comfortable to guarantee a very effective training session. With the modest price the shoe come in, you can argue that the shoe is a bargain buy.